Robert Rimeak Foulks, age 35, pled guilty this week in Saluda County to Distribution of Crack Cocaine Within Proximity of a School and was sentenced to 10 years in prison. This charge is classified as a “serious offense” under South Carolina law. The sentence was handed down by Circuit Court Judge William P. Keesley. The case was prosecuted by Eleventh Circuit Assistant Solicitor Doug Fender. 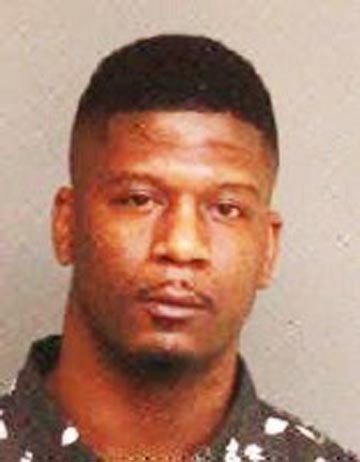 The Saluda County Sherriff’s Office, in a combined investigation with the Town of Saluda Police Department, conducted numerous undercover narcotics purchases from Robert Foulks. During the course of the investigation, law enforcement discovered that Robert Foulks was selling crack cocaine in the town area of Saluda out of a residential apartment complex in close proximity to numerous playgrounds, athletic fields, and the GLEAMNS Saluda Head Start Center. 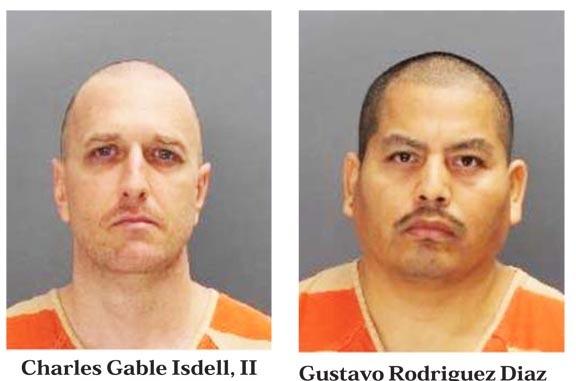 Foulks had previously been convicted of Distribution of Crack Cocaine prior to this arrest. Foulks was transported to the S.C. Department of Corrections to begin immediate service of his sentence. Kindness doesn’t have to pick between a small town or the big city, between youth and senior adult years, or between an individual or a group. That’s one of the reasons the American Legion Auxiliary — the world’s largest women’s patriotic service organization — appreciates and values all of our members. We know that generosity can come from a good-hearted person regardless of, for example, her zip code or age, or whether she stands alone. ALA member Rachel Porter is a shining example of this. Rachel is the only Junior member of Unit 65 in Saluda, S.C., and she didn’t let that fact deter her from showing kindness and care to numerous veterans in her small community. 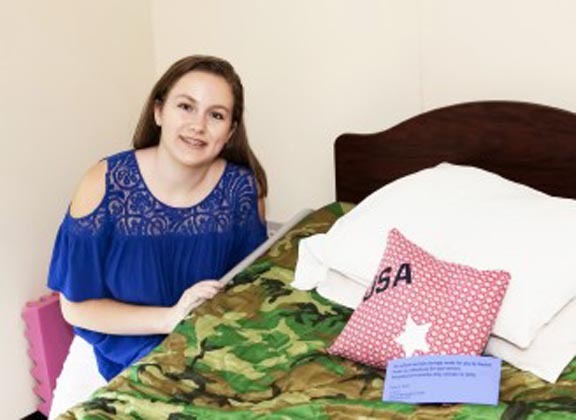 ALA Junior Rachel Porter of Unit 65 in Saluda, S.C., made more than 20 of these patriotic-patterned pillows for local veterans. Rachel, the only Junior in her unit, receives support from the adult members in Unit 65. “I realized that I had been a Junior member since the early 2000s, and that I could be a lot more active than I am. It’s not hard to go and sit down and talk to someone for a while, or take them a card. It really brightens their day. It didn’t matter that I am the only Junior member at our unit,” Rachel said. At age 17, Rachel decided she would make patriotic-patterned pillows for local veterans, most of whom live in the town’s nursing home. She wanted to visit and chat for a bit with each veteran to whom she gave a pillow. Rachel said she received solid support for the project from the unit’s adult members, several of whom helped her with some of the organizing. But Rachel made the pillows and the visits. In all, she gave a pillow to each of the 26 veterans at the nursing home and to two other veterans in her community who don’t live at that facility. “It was just great seeing, not what I did, but the impact that it had on them. They seemed to appreciate the pillows and the visits. I won’t forget the smiles on their faces. It was an honor for me to do something for our veterans,” said Rachel, who turned 18 last month. She said she intends to stay in the ALA as an adult member. Rachel Porter is one of thousands of ALA members — women and girls from a variety of backgrounds, from all over the world — who unite under our common cause of honoring and helping our military heroes and their families; promoting patriotism; mentoring youth; and encouraging good citizenship in our communities. That is the ALA’s mission. We know that each Auxiliary member can help us fulfill that mission. It doesn’t matter if she is from a small town, a big city, a unit of a hundred members … or if she is the only Junior in her unit. 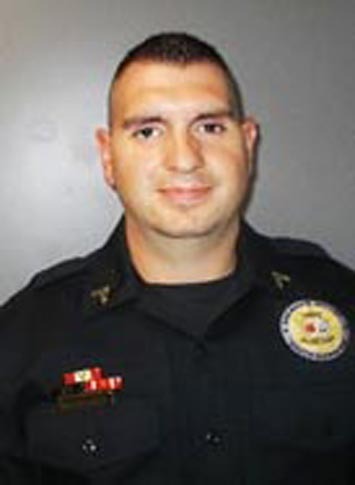 The South Carolina General Asememby has requested the S.C. Department of Transportation name a bridge in Saluda County for fallen Deputy Sheriff Dale Hallman. TO REQUEST THAT THE DEPARTMENT OF TRANSPORTATION NAME THE BRIDGE LOCATED ON HIGHWAY 39l IN SALUDA COUNTY OVER THE LITTLE SALUDA RIVER AT MILE MARKER 9.30 “CORPORAL DALE HALL-MAN MEMORIAL BRIDGE” AND ERECT APPROPRIATE MARKERS OR SIGNS AT THIS LOCATION CONTAINING THE DESIGNATION. Whereas, Corporal Hall-man had recently gotten married and also had a baby on the way. He leaves behind his wife, unborn child, and two beloved stepsons. In addition, he is survived by his mother, father, and sister; and Whereas, it would be fitting and proper to pay tribute to the life, service, and courageous sacrifice of this son of South Carolina by naming a bridge in Saluda County in his honor. That the members of the General Assembly, by this resolution, request that the Department of Transportation name the bridge located on Highway 391 in Saluda County over the Little Saluda River at mile marker 9.30 “Corporal Dale Hallman Memorial Bridge” and erect appropriate markers or signs at this location containing the designation. Pictured L to R: Susan Cathey, Co-President; Shelby Yonce, President; Betty Ann Cone, Charter Member & Secretary; and Converse Cone, Vice President. 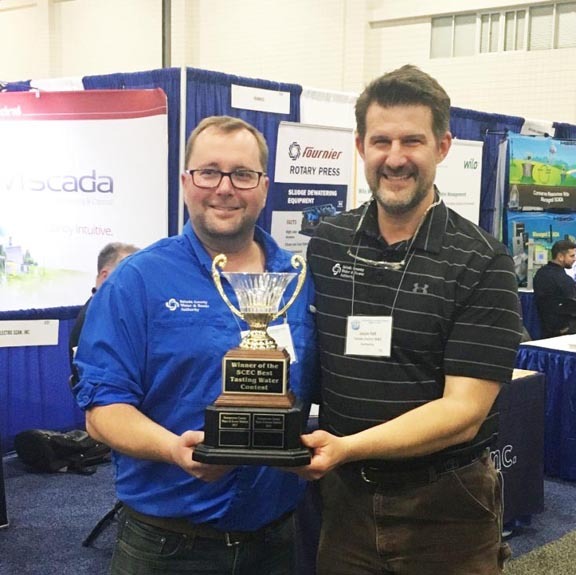 The Green Thumb Garden Club of Ridge Spring celebrated their 65th Anniversary and were honored by the National Garden Clubs, Inc. 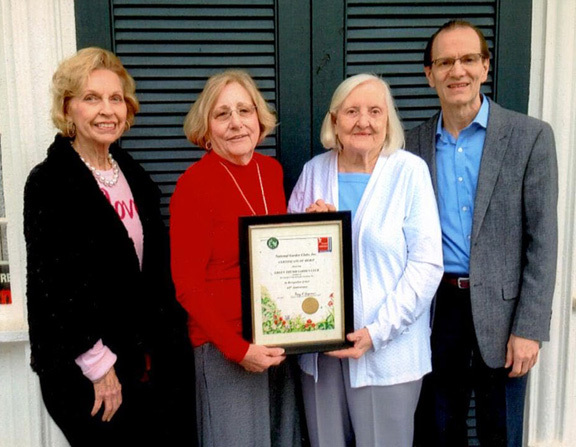 They were presented a NGC Certificate of Merit by Donna Donnelly, President of The Garden Club of South Carolina on behalf of the National President, Nancy L. Hargroves. Mrs. Hargroves who resides in Manakin Sabot, Virginia signed the certificate. The Green Thumb Garden Club was formed in 1953 in the James Paul Murphey Home on Boatwright Street in Ridge Spring. Mrs. Mattie Lee Bonnette and Mrs. Ethel Connelly Murphey were members of The Ridge Garden Club and wished to form a new club for the younger ones in town. Two names were suggested by the 13 charter members and “The Green Thumb” won the vote. Betty Ann Cone, a charter member, served as the first President and is still active in the club today. She was awarded a Life Membership by the club in 2016. Shelby Jean Yonce is presently serving as President with Susan McGee Cathey serving as Co-President of the club. Mrs. Cathey is a second generation member following her mother, Pauline McGee. Converse Bomar Cone, Vice-President, is also a second generation member. 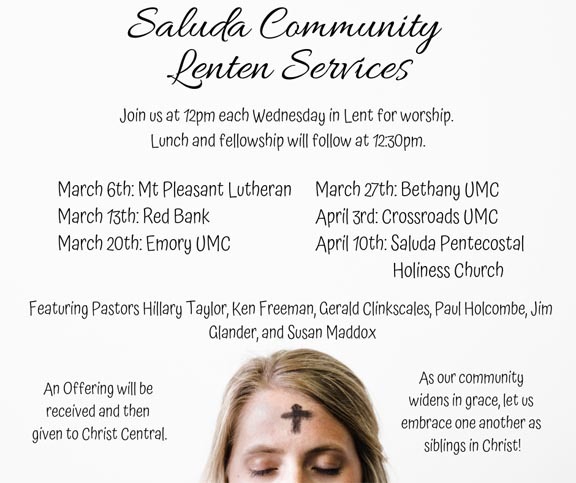 The club was deeded the historic lmmanuel Lutheran Church at 206 Boatwright Street in Ridge Spring in 1986 which is located just a half a block from where the club was organized. Over the years the members have been busy restoring and maintaining the church and grounds as funds are available. Money is raised by their annual Christmas Tour of Homes and through donations. 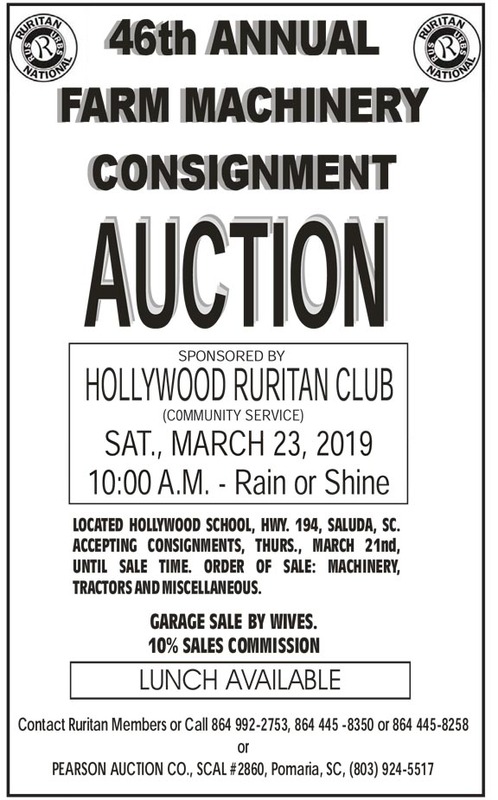 Presently, they are working to add a much needed restroom onto the back of the sanctuary, Other club projects include maintaining a By-Way Blue Star Marker on the church property, a Blue Star Memorial Marker on Highway #1, and a Healing Garden Dream Stop west of town. All members are certified as having Backyard Habitats. To celebrate their anniversary, the club attended The Camellia Tea of Edgefield at Magnolia Dale on February 14 where they enjoyed the spectacular display of camellias and the delicious refreshments! Each member purchased a copy of the newly released book, “Nothing Could Be Finer”, a history of the Camellia Tea of Edgefield, SC. They also toured the historic Oakley Park House in Edgefield where the above photo was taken.